This fine porcelain plaque was crafted by prestigious German manufacturer, KPM, and is notable for its large size and exceptional attention to detail. 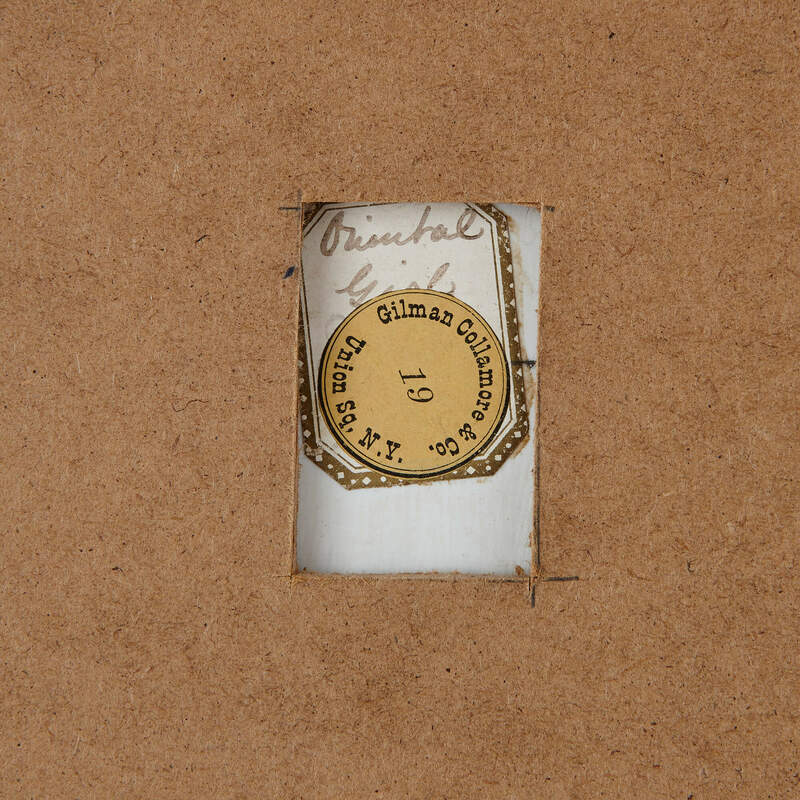 German manufacturer of porcelain, KPM, was founded in 1763 and is synonymous with the highest quality of painted porcelain plaques in history. 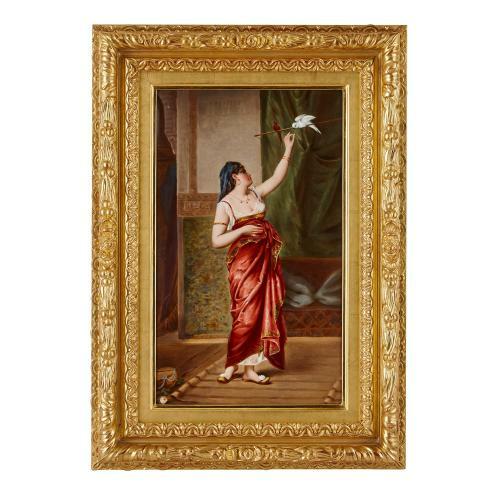 This alluring porcelain plaque is very finely rendered and is testimony to the excellence of the firm. 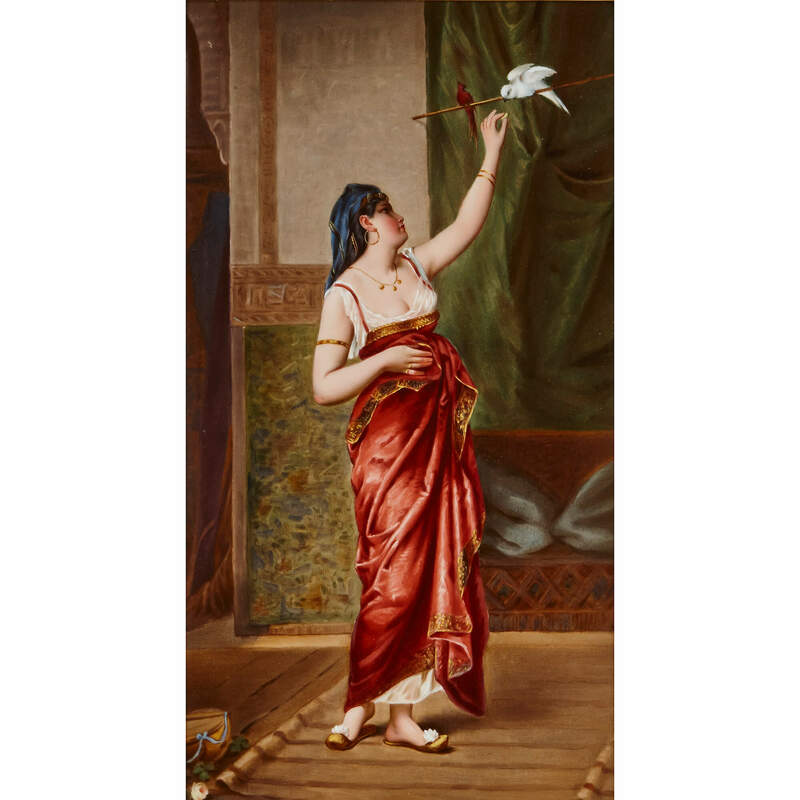 The plaque, of rectangular form, depicts an Orientalist interior scene of a dark haired young woman reaching up to feed a dove perched on a bird-pole above. The woman wears a headdress and swathed, ruby red clothing as well as hooped earrings and arm bands. 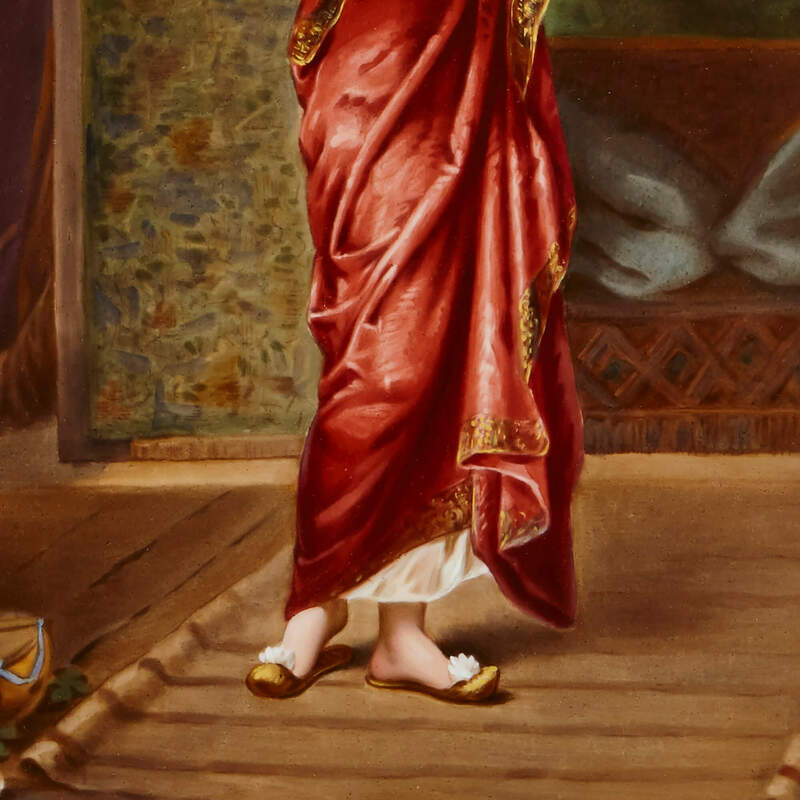 The lady is shown standing on a carpeted floor, with sumptuous drapery and richly coloured textiles in the background, and an Arabic-style archway opening shown to the far left of the composition. 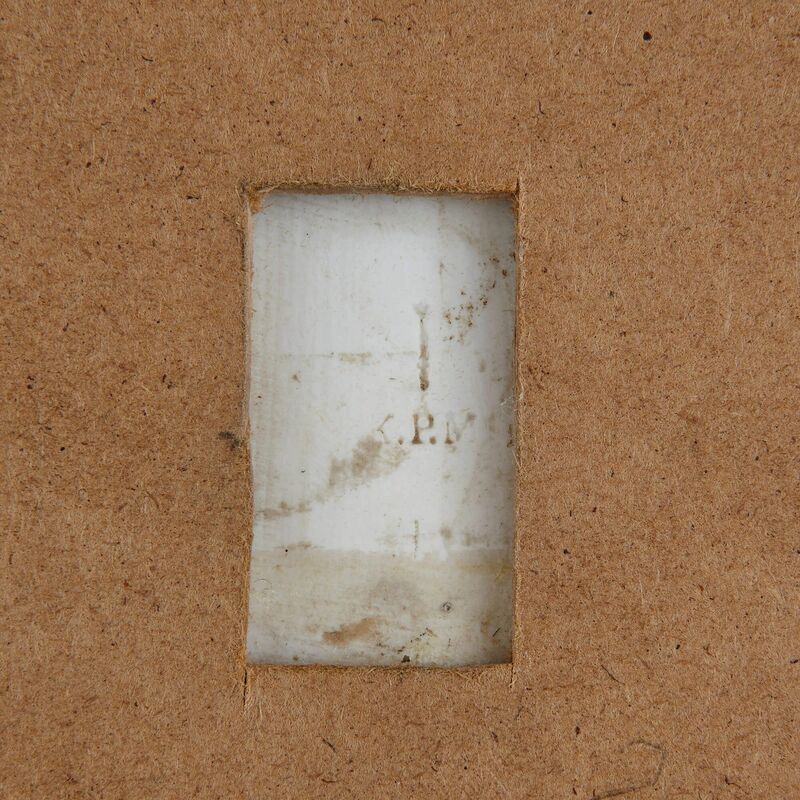 The plaque is set in a giltwood frame, and is impressed to the reverse with the KPM monogram and sceptre mark together with the label of the retailer, Gilman Collamore & Co., New York. 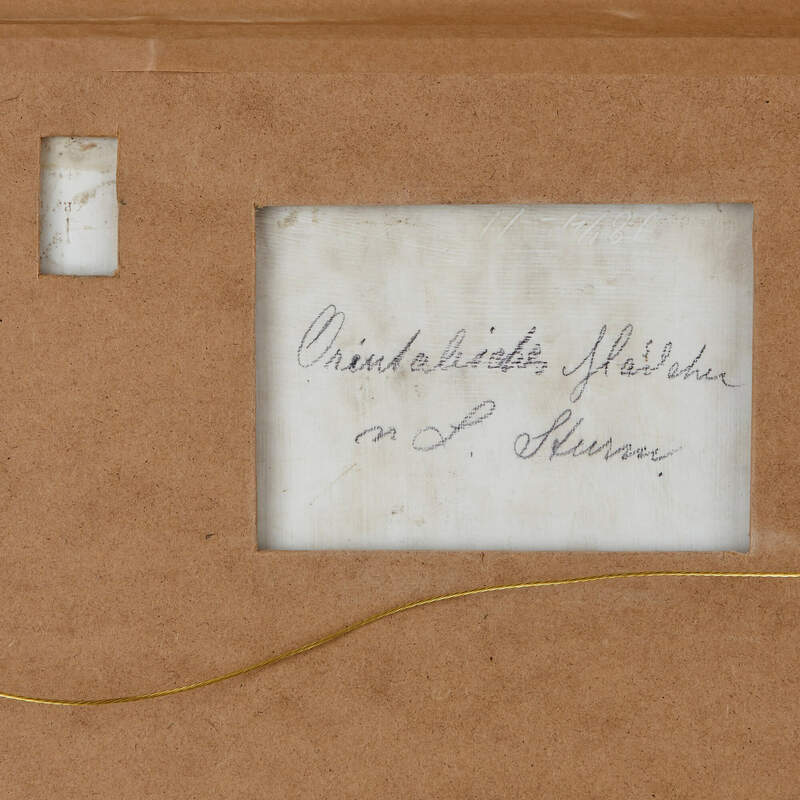 There is also a written inscription to the reverse reading 'Orientalisches Mädchen / L. Sturm' (Oriental girl / L. Sturm), suggesting the artist is Ludwig Sturm, who worked for both KPM and Meissen.